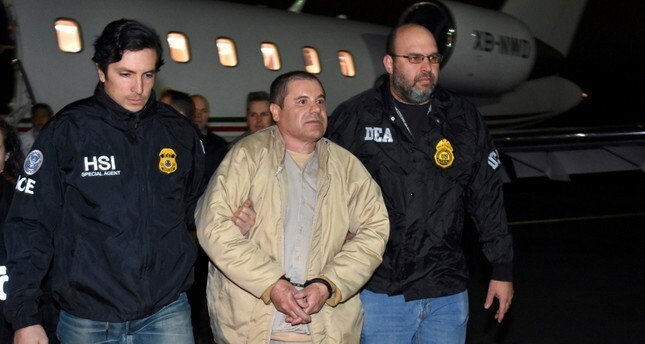 A U.S. jury has reached a verdict in the drug-trafficking trial of Joaquin "El Chapo" Guzman, who rose to fame as Mexico's most feared drug kingpin, a court official said on Tuesday. Guzman, 61, is charged with 10 criminal counts, including drug trafficking and engaging in a criminal enterprise as leader of Mexico's Sinaloa Cartel. He faces life in prison if found guilty. The 12 jurors began deliberating in federal court in Brooklyn on Feb. 4. The lack of a verdict in the first week seemed to please Guzman, who grinned and hugged one of his lawyers before he was led out of the courtroom. Guzman is accused of trafficking tons of cocaine, heroin, marijuana and methamphetamine into the United States as leader of the cartel, named for his home state in northwestern Mexico. Guzman escaped twice from maximum-security Mexican prisons before his final capture in January 2016. He was extradited to the United States a year later. Small in stature, Guzman's nickname means "Shorty." His defense has argued that Guzman was set up as a "fall guy" by Ismael "El Mayo" Zambada, a drug kingpin from Sinaloa who remains at large. Prosecutors have said Guzman and Zambada were partners. The cooperators, most of whom had pleaded guilty to U.S. drug charges, offered detailed accounts of the Sinaloa Cartel's inner workings and Guzman's purported role as boss, describing his lavish lifestyle and penchant for murdering his enemies. In a series of notes last week, the jury sought answers to legal questions and asked to review days of testimony from several of the cooperators. The notes suggested that the jury is poring over the voluminous evidence from the trial in detail.